This is hand-picked Siberian motherwort (Leonurus sibiricus), also known as marihuanilla. We've removed all the stems and ensured that only the most aromatic part of the plant is left for those working with this ancient herbal incense. 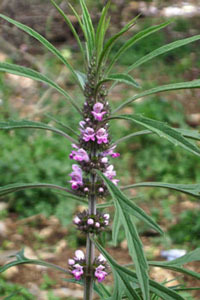 Our Private Reserve Siberian Motherwort is the same species as our Marihuanilla (Leonotis sibiricus), but is a high-altitude variety. Why is this relevant? Higher altitudes promote the production of a heartier plant. There is often a great deal of confusion about this plant. Some call it Klip Dagga, but Klip Dagga is very much its own plant. Others call it "Chinese Mugwort", but that’s a different species (Leonurus japonicus) and one with a long history of use in Chinese traditional medicine.